Young Gifted and Black: Who Gon check me Boo! Patti LaBelle calls out non singing Divas, says word used too loosely!!!! Who Gon check me Boo! 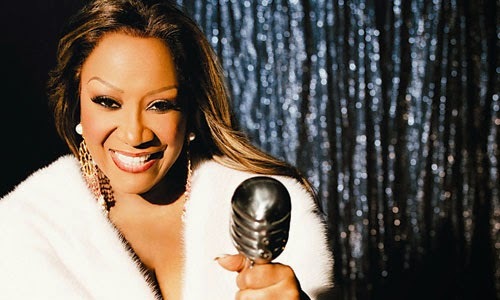 Patti LaBelle calls out non singing Divas, says word used too loosely!!!! Well Alrighty than...We looove some Ms. Patti Patti. As we were growing up with the gift of Voice, she has always been one of our "muses" to practice to, She, Anita Baker and Whitney Houston, Teena Marie & Mariah! ALL the real sanging Divas should agree! Check out what this true DIVA had to say about the way some singers are using the term "Diva" without a License during an interview..
For you, what does it mean to be a diva? That word is used so loosely that I don't even consider myself a diva. I always considered myself a woman who sings her heart out and who gives 120 percent. "Diva" is a word that I wouldn't wanna call myself because it's so loosely used. It's not cute anymore. Is there a negative connotation to it now? Yeah, because all these little heifers who can't sing are called divas! It doesn't mean anything to me and probably to some of the other ladies who have been doing it for as long as I have: Gladys Knight, Aretha Franklin, Dionne Warwick. You know, I'm speaking for me - I don't know if they like to be called divas - but I know I wouldn't call them divas, because it's not in good company. But it used to be a respectable term at some point. Well, for opera singers, and for ladies who earned it, but that was way, way back when. Now you can look up to them, but you might not see what you wanna see. A hot mess! People who are doing it and doing it with about 40 people on stage with them to hide their pitifulness - that's not a word, but you know what I mean.